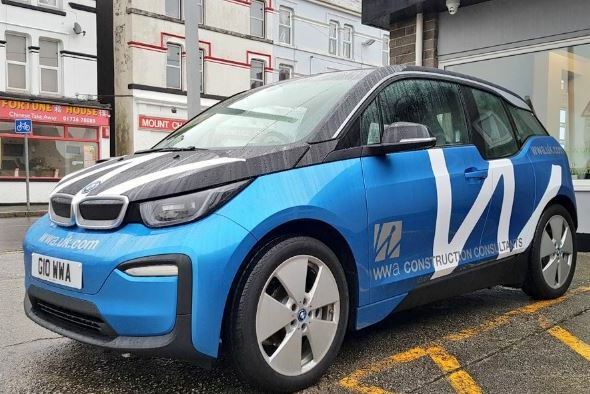 Truro-based construction consultancy WWA has been hailing the impact that has been made 12 months on from introducing electric cars to its fleet. In 2018, WWA made the decision to change how it travels during the working day, taking four BMW i3s to replace existing petrol/diesel cars. It was just one part of an “emissions revolution” at WWA and consequently helped reduce its carbon emissions by 43% and fuel costs by 25%. Senior partner, Andrew Snapes, said: “As a company we are fully committed to reducing our carbon emissions and environmental impact, through our business operations and providing sustainability advice to our clients.